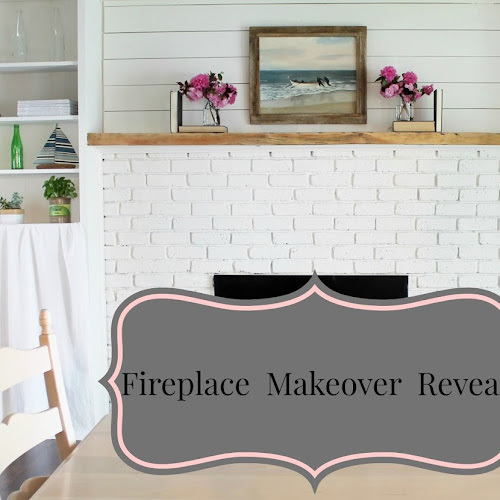 Welcome to # 4 in the series of our fireplace makeover. The fireplace is painted and the faux shiplap is up! This project is nearing completion and I couldn't be more excited!!! My husband and I worked together on this part of the makeover. I sanded and painted the boards and he did the cutting and the instalation. The space above the mantel measures 7'.6" X 2'.5"
We found these pine boards on the side of the road. However the boards were not the correct size, they measured (1" X 6" X 8') darn a few inches to long and a little to wide. My husband cut each board to size with a table saw and a chop saw. The wood had a ton of splinters and needed a good sanding. After the boards were sanded, I painted the edges of each board. Now they are ready to be installed! Staring at the bottom we placed the first board against the wall and placed a level on top to make sure it was straight. Then using a nail gun my husband nailed it in place. 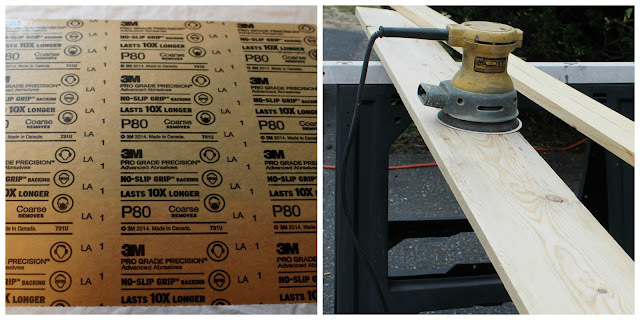 To achieve the look of shiplap we left a slight gap between each plank using nickles. We repeated this process all the way to the top of the wall. After the planks were installed. we used a piece of molding to fill in the gap at the top. I was so excited to finally apply the first coat of paint. White Dove by Benjamin Moore. Come back to see the full reveal! I can hardly wait for you to see it!! I's looking great so far, Julie - can't wait to see it when it's all done! It looks really good, it adds so much character!! This looks great and it's wonderful that you found the wood on the side of the road. You can't beat free for supply costs! Love this idea, and you sure can't beat free wood!